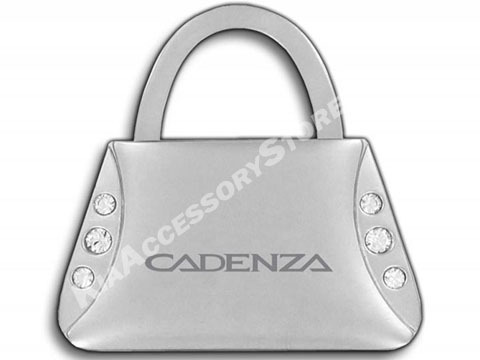 Purse shaped keychain with an etched kia logo and 6 clear Genuine Swarovski crystals. Love this keychain! Stones are clear. Most of all quick delivery. I received my keychain before getting my awesome car! !